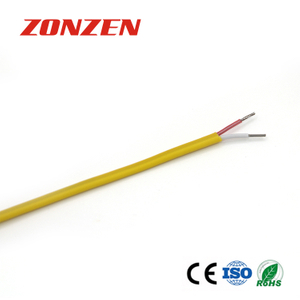 PFA insulated thermocouple extension wire--Single pair, flat - Buy PFA insulated thermocouple extension wire, PFA thermocouple extension wire, PFA insulated thermocouple wire Product on Zonzen Electric Co., Ltd.
To the rest of the world:being proud of a great tradition and trying to combine it with the present. 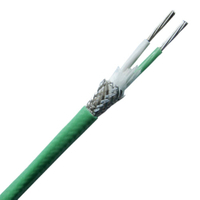 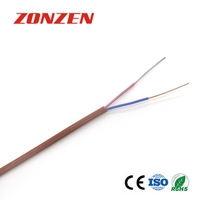 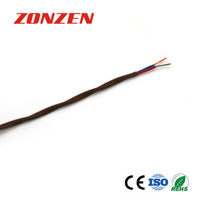 * ZONZEN does not use reprocessed PFA in manufacturing thermocouple extension wire. 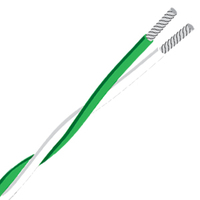 5 "S" means "Stranded"; "Blank" means "Solid"
Note: The products referenced above represent the most popular constructions. 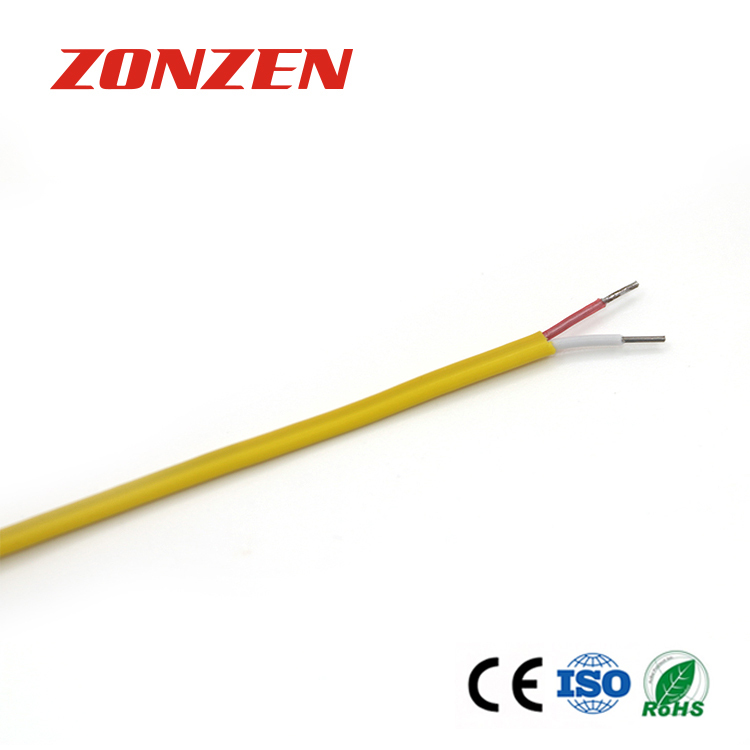 Other constructions can be manufactured to meet individual specification and application requirements. 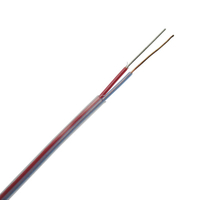 All above thermocouple extension wire can be finished with a inner shield(Stainless steel-SSB, Tinned copper-TCB). 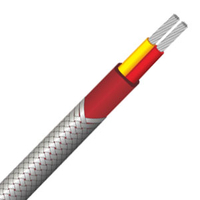 If you need the wire with a inner shield, please add "SSB or TCB" to the order code, such as "KX-PFA-SSB-PFA-20S", it means Type KX, 20AWG, Stranded, Insulation: PFA, Inner shield: Stainless steel, Jacket: PFA.